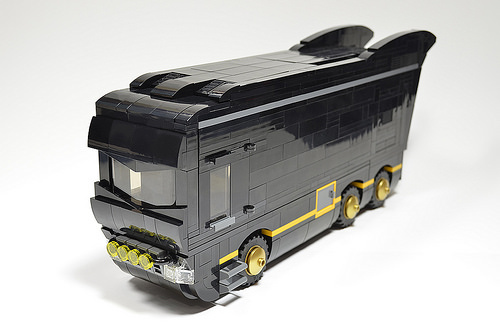 Batman has no shortage of specialized and well-equipped vehicles at his disposal, ranging from fighter jets to submersibles, but this touring Batbus by Jme Wheeler is ready to rock your world. 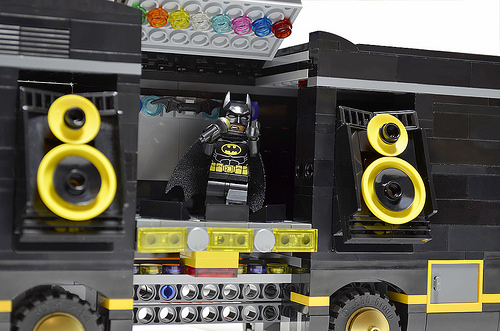 Built as a modification of the Friends Popstar Bus, this specially outfitted bus is meant to reflect Batman’s more musical side. No doubt this bus is ready to do just that with retractable speakers, disco lights, and dance stage. But don’t let these features fool you — the Batbus isn’t just about pleasure, baby, but business too with a well-stocked lab and hidden missile bay. 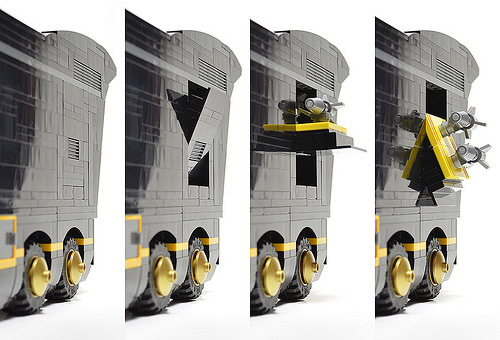 I can’t get over how cool this bus looks with the angled windshield and rear fins. Fighting crime never looked so good!